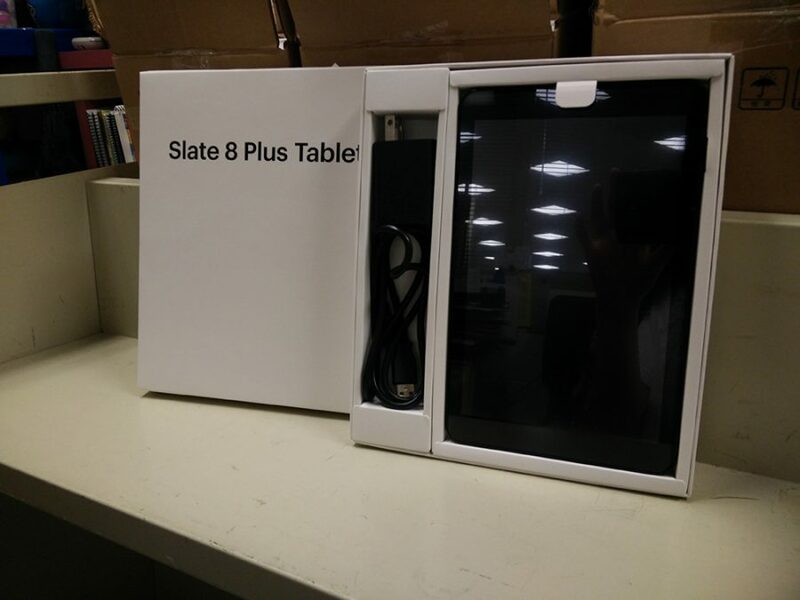 Students who qualify will receive the Slate 8 Plus Tablet with free internet until they graduate. Students took a survey in English classes to potentially qualify for a free tablet with internet access as part of the 1Million Project, starting on Friday, November 16. The survey was available to all students. Sprint launched the 1Million Project in October 2017. They aim to give mobile devices and internet access to one million high school students nationwide to help students in need complete their homework and perform better in school. Sprint is giving the school Slate 8 Plus tablets. “Our goal is to hand out devices to students who really need them, and we’re talking about students who don’t have WiFi, don’t have a device at home,” media specialist Anamaria Mitton said. Mitton, assistant principal Rhoshanda Pyles and IT systems specialist Paul Vance are in charge of the program at Watkins Mill. The survey asked questions about whether students had access to fast internet or a computer at home to determine their needs. The first 50 students to qualify attended a meeting on Monday, November 19 to obtain a consent form. They received their tablets Wednesday, November 21. Further qualifying students will need to wait until Sprint provides additional tablets. If a student does not have access to WiFi at home, they can use the mobile data on the tablet and also use it as a hotspot for their phone. Students get 3GB of data per month and keep the tablets until graduation. The mobile data is turned off two weeks after the student graduates. The school hopes to take tablets from graduating seniors and recycle them to freshmen or other students who need them. “I like [the 1Million Project],” junior Demetrius Rush said. Rush received a tablet as part of the program. “It’s helped me a lot because I didn’t have a way to do homework at home without a computer,” Rush added. As of today, 1,152 out of 1,660 students at Watkins Mill (69 percent) have taken the survey. 633 of the 1152 students who responded (55 percent) qualify for a free tablet. The survey is still available to fill out here.